Spring and autumn are the best seasons for house renovations as it is the time when there is not too much cold nor hot outside and you can easily manage all the renovation tasks. As spring is already here, it is the right time to change the curtains, wall paints and complete décor of your home. If you are planning to change the shower door for your bathroom, this article is for you. 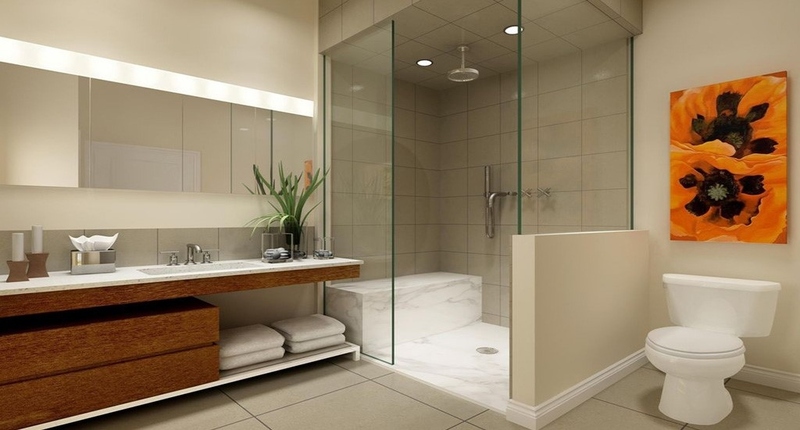 The bathroom is that one place of your house which is in frequent use and its interior designing matters a lot. Right from the wall paints to the shower door, every detail of the bathroom demands attention and planning. Though we keep on changing bathroom taps and other frequently used sanitary items placed in the bathroom, however, replacing a shower door is not a usual task. Shower door is a wall around your bathtub that you install to ensure maximum security, comfort and cleanliness of bathtub. When you are shopping around for your shower door, you will find a large variety of models there and it becomes hard for you to make a choice. If you are looking for shower doors in Miami FL, follow these few tips discussed in this article and help yourself in finding the best shower door for your bathroom. The first thing that you have to ask the shopkeeper is to show you quality material. If the material is of low quality, it means you are compromising on the security of your bathtub. Also, it is not going to give you the desired comfort and cleanliness. Best materials for shower doors are Aluminum, stainless steel, and tempered glass material. Though tempered glass doors are highly popular among clients because of their great visual appeal if you are tight on budget and looking for an economical solution, an Aluminum shower door is the best fit for you. Also, pay detailed attention to the frame of the shower door. It should be watertight, otherwise, there are going to be water splashes outside the bathtub when you are taking shower. It is entirely up to you how you want your shower door to be opened. Also, it depends upon the size of your bathroom. If the bathroom is large in size, you can easily select a door opening mode of your choice. But when it is small in size, a sliding shower door is usually the best option for you. If you want it to be simple and also affordable, you can install the screen of a fixed leaf. In this door, the panel is fixed and it covers just half of the shower tray. Moreover, there are options like two or more sliding leaves, two or more folding panels and one or two folding doors that open completely both inwards and outwards. Whether you are going to install a new shower door or looking for shower door fabrication, you should be well aware of your family needs as it helps in selecting the right door. Like families who have small children want easy access in the bathtub. This situation makes sliding glass doors the best fit as their kids just have to slide the door to enter in the bathtub. If your bathroom is small and your family is in the habit of making this small overcrowded with other bathroom items, you can go for a bifold shower enclosure. It is easy to open and requires minimum space. On the other hand, if you want to give your bathroom a spa feel, then steam shower enclosure is the right option for you. If you are not satisfied with any of shower door designs available in the market, you can always ask them to provide you a custom designed shower enclosure. When you discuss your professional shower door company about your specific needs, they can always facilitate you in the best way possible. A custom shower door is definitely going to have all those functions that you were looking for. However, it is a costly option and you can only ask for the custom door when you are not tight on the budget.